Hide and Seek, Katy style! 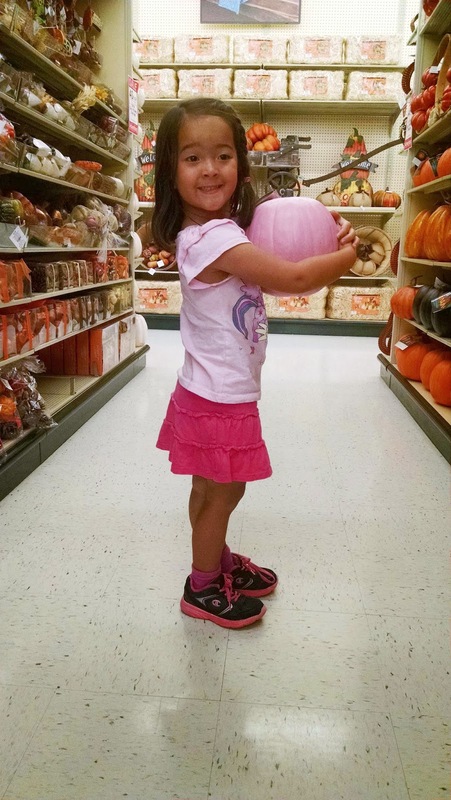 Wordless Wednesday- Pink Pumpkins... who knew?! 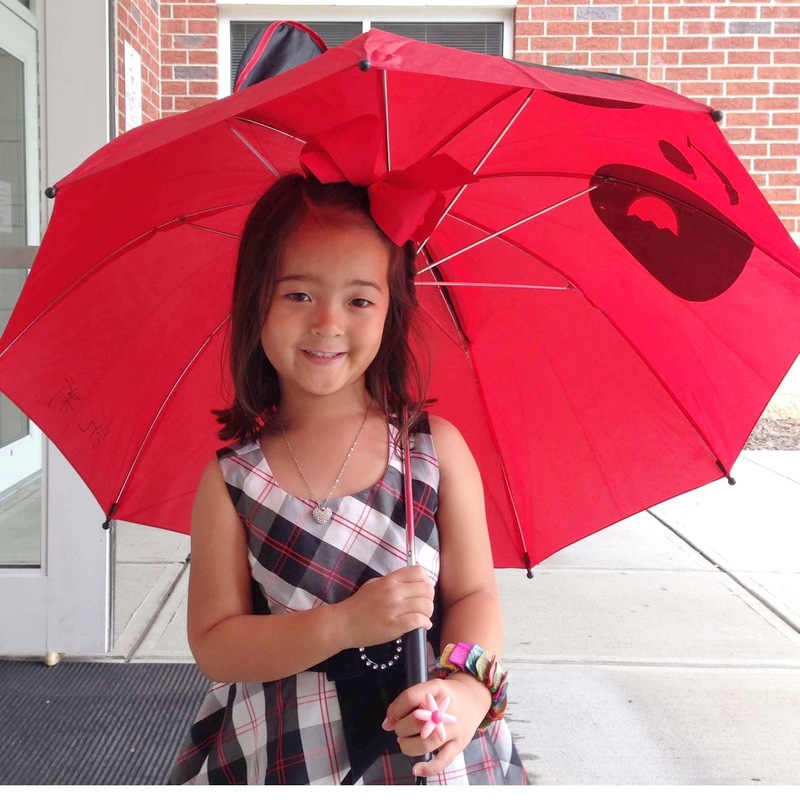 Wordless Wednesday- "Under the Umbrella Tree..."
It's not every day that one hits a milestone like the big 7-0!! So even though you may be a bit embarrassed (and don't like your picture taken), we'd like to give a great big SHOUT OUT and HAPPY BIRTHDAY to Ted's Dad. Happy 70th Birthday!! Cheers to this year and many more birthdays to come! 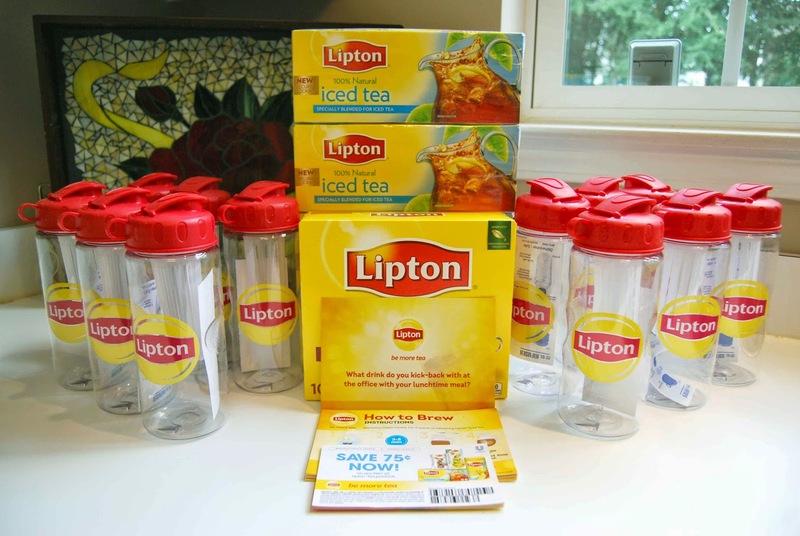 I was really excited to be selected to host the Lipton #BeMoreTea House Party! Yay!! My party pack arrived via UPS and it was filled with goodies. 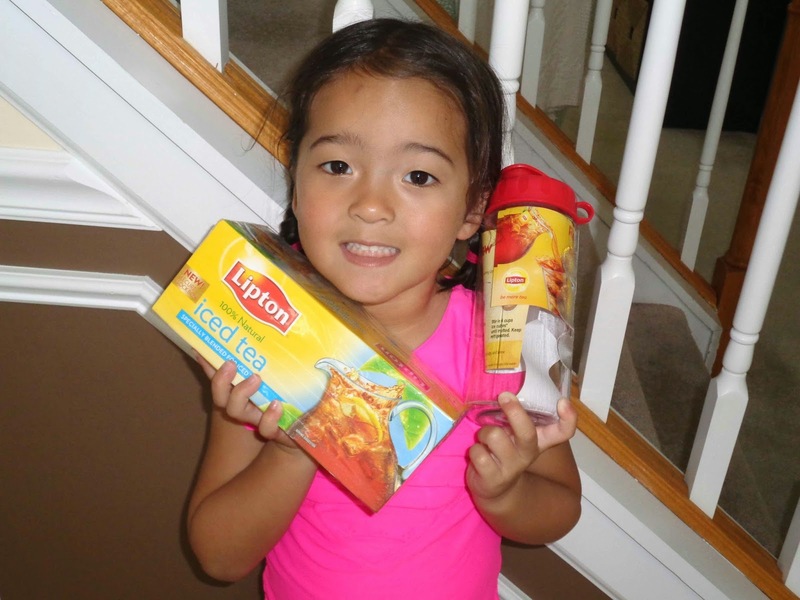 There were infuser bottles, boxes of ice tea bags, coupons and party starter cards. All of these goodies are perfect for giving away to my party guests. 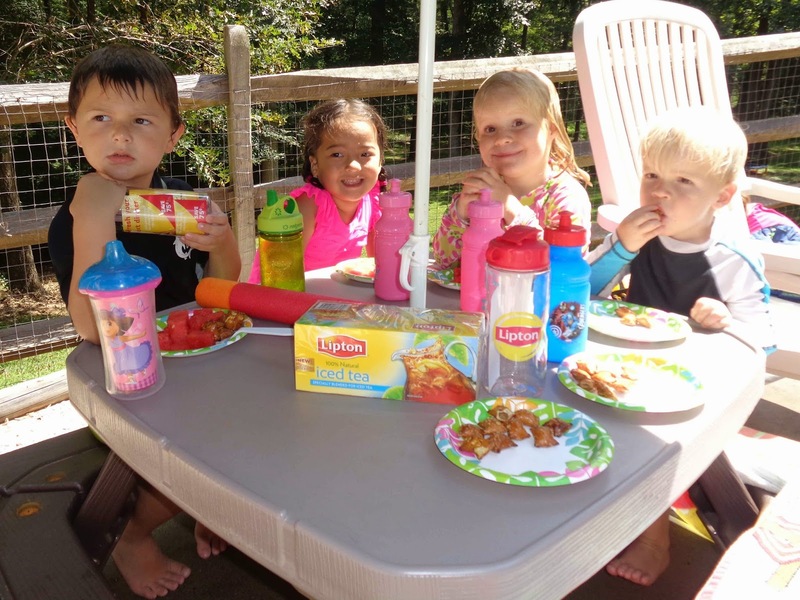 We decided to combine our #BeMoreTea House Party with our Playgroup End of Summer Pool Party. 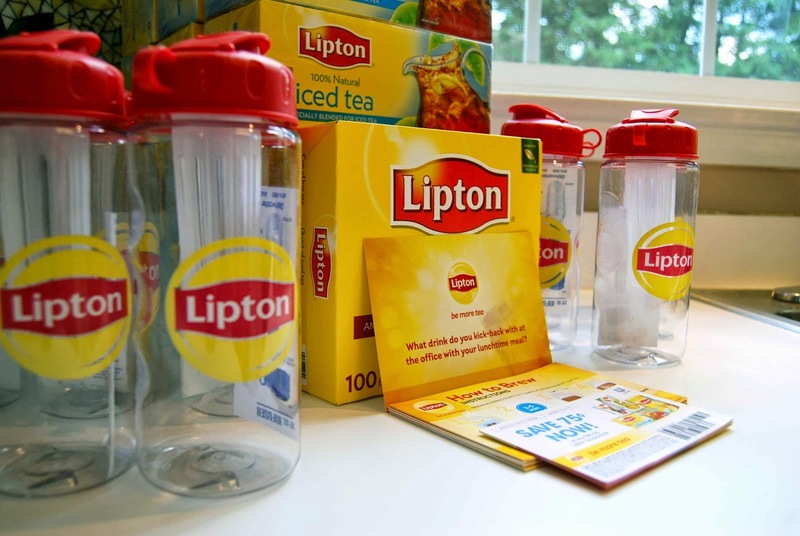 There was pizza, there was ice cream and of course, there was ice cold Lipton #BeMoreTea! 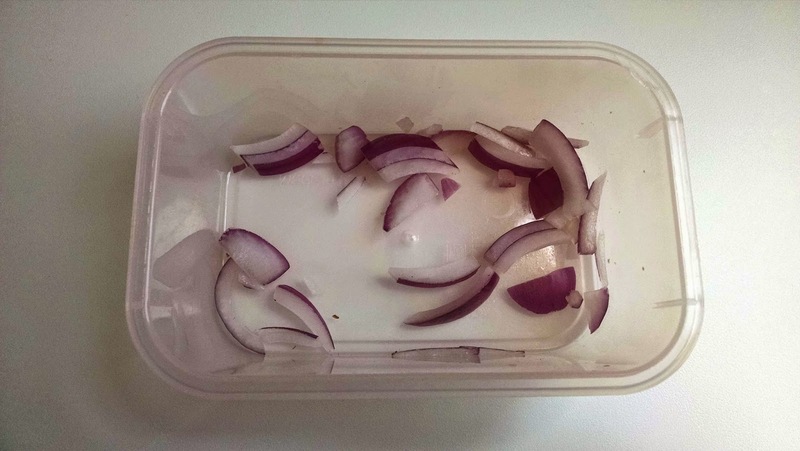 Wordless Wednesday- This WAS half an onion... until Lil' Miss scarfed it down....! 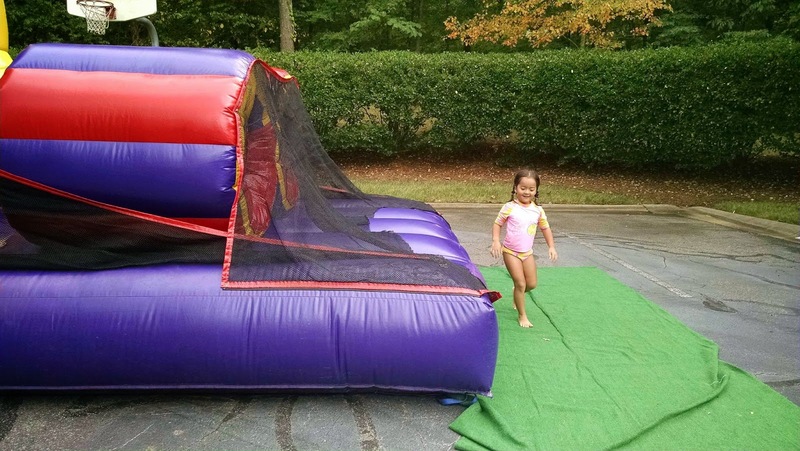 "Our neighborhood said goodbye to summer with an end of season pool party!" "I swam and swam and swam....."
"I ate and ate and ate...."
Yesterday afternoon, Katy had taken to playing hide and go seek with Ted. She kept hiding in the same kitchen cabinet. After a couple of rounds of this, Ted told her to go find another, new hiding spot. Katy rushed off exclaiming, "Daddy, close your eyes!! I've got the perfect hiding spot!" Ted obliged and closed his eyes. Then, several seconds later, after struggling with the child door lock to the utility closet, Katy shouted out, "Daddy! Please open this door for me!" Katy and I were out shopping, today. She was running ahead of me and I told her to, "Slow down and be careful!" She stopped in her tracks, turned around and said, "Okay, Mommy. I'll stop. I don't want to fall on the conk-crete." I corrected her by saying that it was pronounced, "...concrete..."
She in turn corrected me by replying, "No, Mommy- it's 'conk-crete.' 'Conk-crete' means that if I fall and conk my head on it, it'll really, really hurt- 'Conk-crete.'" Going for a walk with Go-Go! I'm excited to share my first BzzCampaign.... 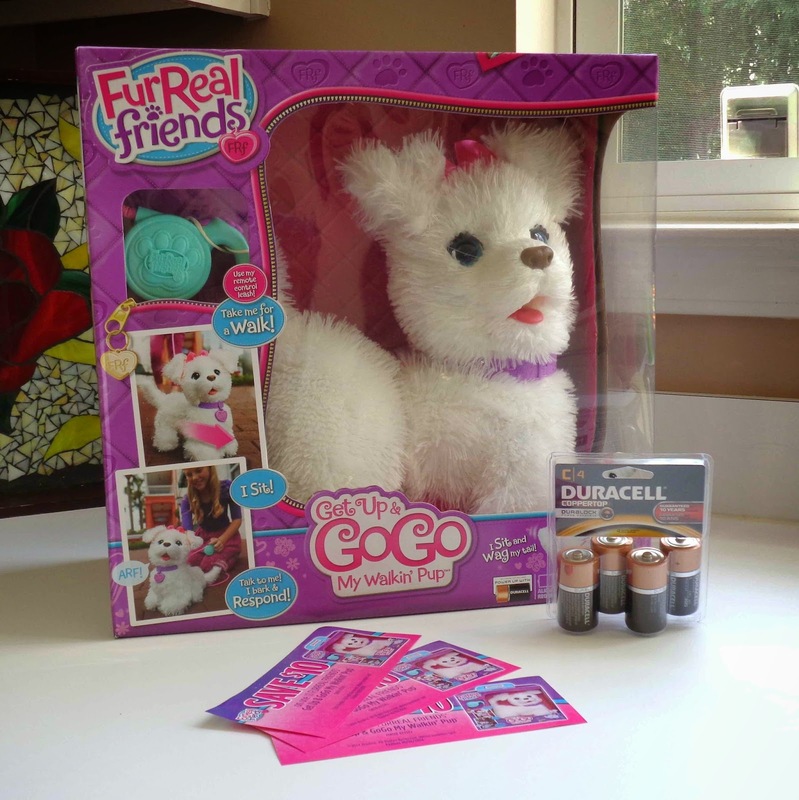 Introducing the FURREAL FRIENDS®: GET UP & GO-GO, MY WALKIN' PUP™! If you have a little one like mine, every time you walk into Target they make a beeline for the toy section. 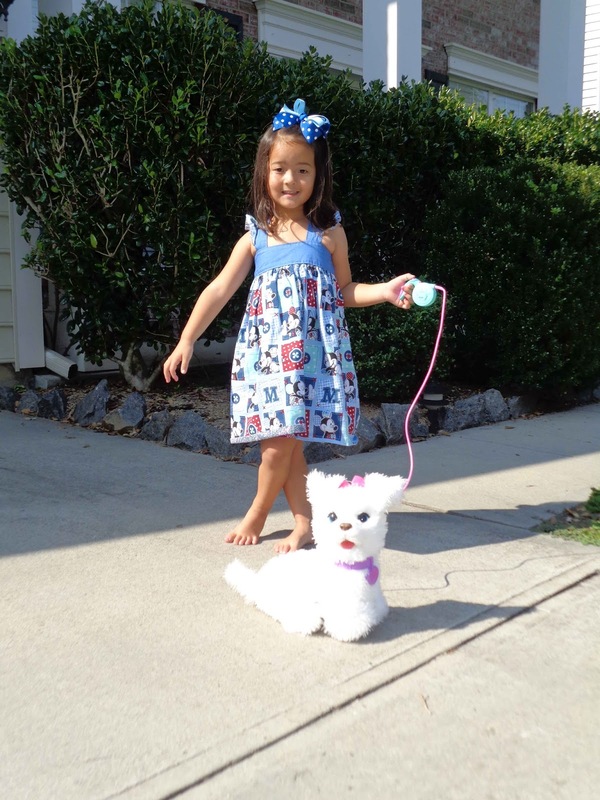 One of the things that she obsesses about is the FURREAL FRIENDS®: GET UP & GO-GO, MY WALKIN' PUP™. It walks! It talks! What's not for a four-year old to love?! So, when I had a chance to try out FURREAL FRIENDS®: GET UP & GO-GO, MY WALKIN' PUP™, I jumped at the chance. Our box arrived in the mail, right on time. Of course we had to open it right away. 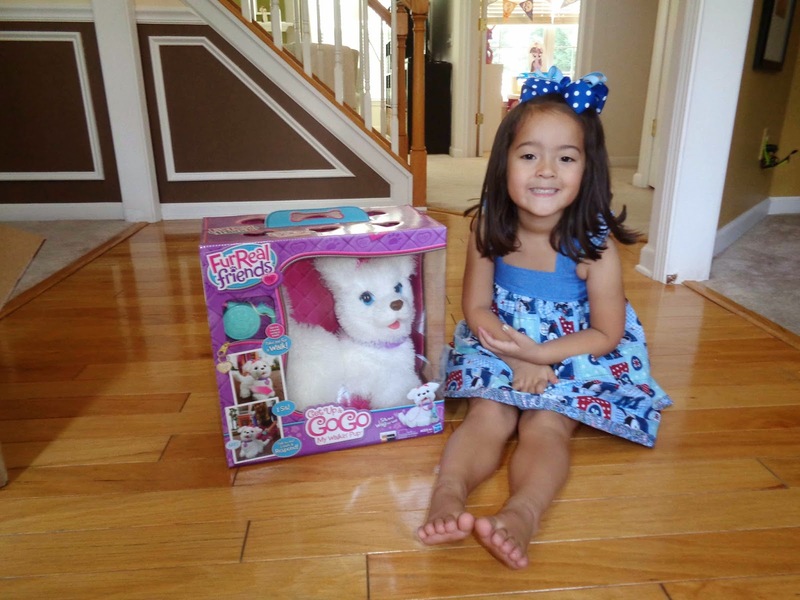 Actually, I hadn't told her that we were getting it, so, Lil' Miss was pretty excited and surprised when she open the box and it revealed the FURREAL FRIENDS®: GET UP & GO-GO, MY WALKIN' PUP™! Luckily, our box also came with 4x C batteries and we were ready to go in no time! (Just need a small phillips head screwdriver to get the battery case apart. Pop those suckers in there and you are ready to go! THANK YOU! :) We took Go-Go (as we've come to call our new furry friend), outside and wheeled him around our driveway. -Go-Go works best on a clean, flat, smooth surface. -When pressing the one and only button on the remote control, there is a bit of a delay. So, press and hold and Go-Go will move- just give her a second to react. This was hard for my daughter because she kept wanting to press and let go and then she'd get frustrated when Go-Go wouldn't respond. -Press and hold continuously for Go-Go to walk a distance (leash length permitting). -Press and hold in short, even bursts and Go-Go will walk and then stop. -Pet Go-Go in front of the bow on her head and she will sit down for you. Once again, there is a bit of delay. So, you must pet with a bit of pressure, hold and then Go-Go will respond. There is also this pretty fun App (well, fun if you are four, that is ;-), that comes along with the FURREAL FRIENDS®: GET UP & GO-GO, MY WALKIN' PUP™. You can download it from Itunes or Google Play Store. In a nutshell, the app is like Sims for your pet. (Anybody remember the tamagotchis or yesteryear? Kind of like that..... ;-) In the app, you can feed, groom and play with your pet. Point your phone toward your FURREAL FRIENDS®: GET UP & GO-GO, MY WALKIN' PUP™ and she will respond to the app by barking and yipping. The app is free to download. **Disclaimer-I received this product for free from the sponsor of the BzzAgent program, who received it directly from the manufacturer. As a BzzAgent blogger, I agreed to use this product and post my opinion on my blog. My opinions do not necessarily reflect the opinions of BzzAgent or the manufacturer of the product. 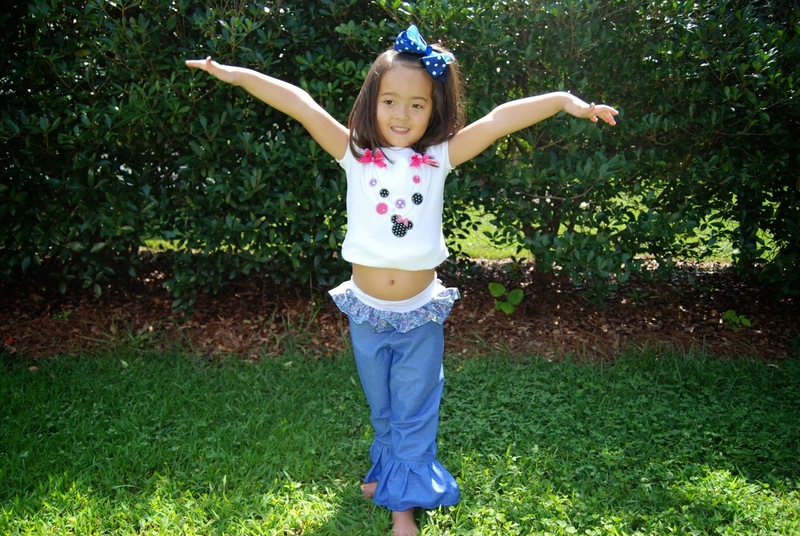 Made for Mermaids by Megan Gorman is at it again with the new Hailey Ruffle Pants! 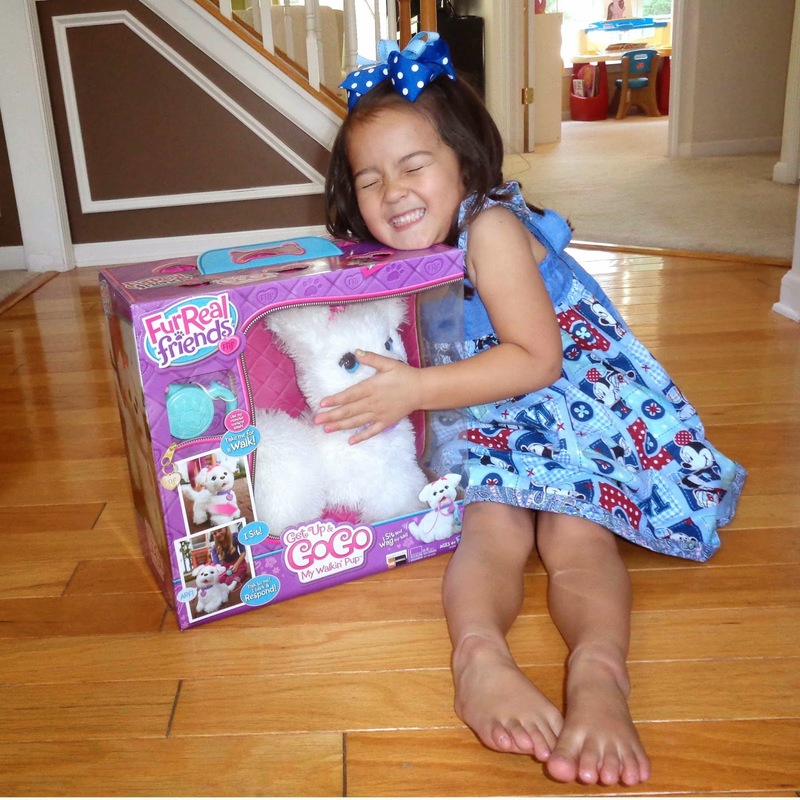 Cute, girly, ruffly and comfy- what more could a girl ask for?! 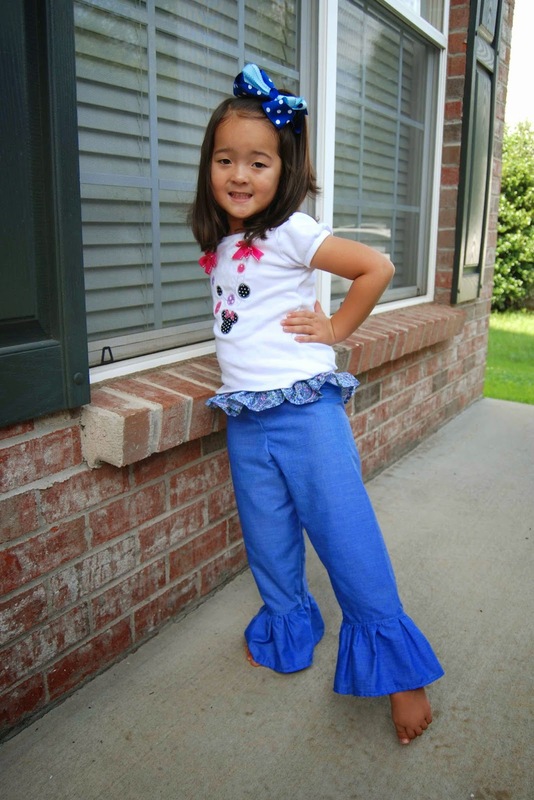 The Hailey Ruffle Pants features a bottom ruffle leg and a sweet little ruffle at the waist (peaks out from underneath the shirt). The best part, in my opinion? The yoga-like waistband of soft, knit fabric. -Comes in sizes 1/2-14 (that's a HUGE range- so much bang for your buck because you can literally use this pattern from itty bitty all the way up to preteen!). -This pattern can be made in either knit or woven material, with clear directions for using either type of fabric. Note, whatever material you choose, the waistband on both is knit- cotton lycra, to be exact. You need something super soft with GREAT recovery for the waistband to hold up and stay up. -Pattern features a ruffle at the bottom of each leg and a small ruffle at the waist. Yoga waistband. Directions were super easy to follow. The knit option is even easy enough for a knit newbie, like myself, to follow along. I made my test pants in woven, but I can't wait to try them out in knit! The pictures, dotted lines and arrows aid the the understanding in the overall tutorial. Cecilia at the girls' slumber party. The Panopticon, by Jenni Fagan, follows the life of 15 year old Anais Hendricks. 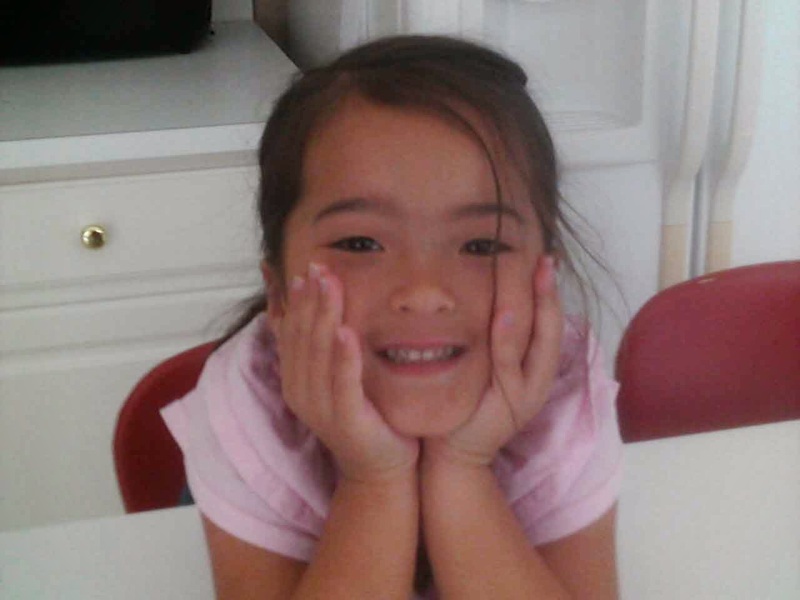 Repeat offender and chronic foster-home child, Anais has had a hard life, to say the least. The book opens with Anais going to the Panopticon, a home for chronic young offenders. At the Panopticon, Anais forms a family of sorts, with the other equally rough, mired prisoners. In the end Anais learns that she can only rely on herself. "Anais Hendricks, fifteen, is in the back of a police car. She is headed for the Panopticon, a home for chronic young offenders. She can't remember what’s happened, but across town a policewoman lies in a coma and Anais is covered in blood. 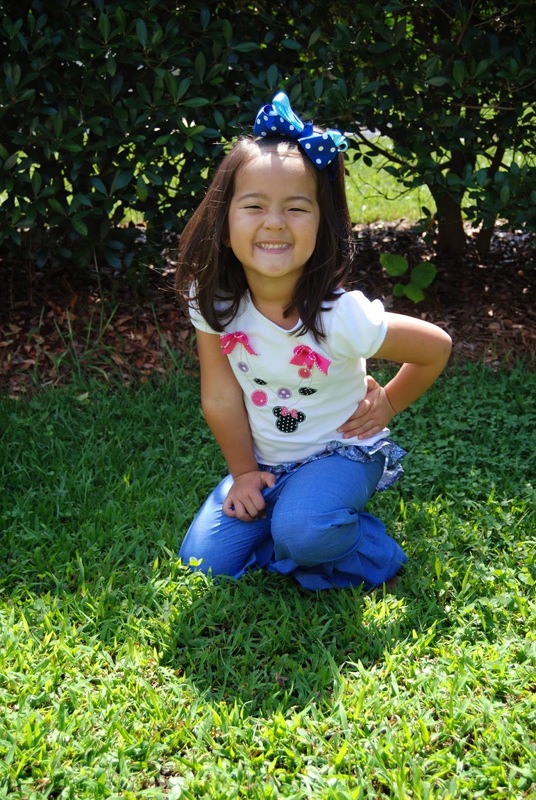 Raised in foster care from birth and moved through twenty-three placements before she even turned seven, Anais has been let down by just about every adult she has ever met. Now a counterculture outlaw, she knows that she can only rely on herself. And yet despite the parade of horrors visited upon her early life, she greets the world with the witty, fierce insight of a survivor. Anais finds a sense of belonging among the residents of the Panopticon—they form intense bonds, and she soon becomes part of an ad-hoc family. Together, they struggle against the adults that keep them confined. But when she looks up at the watchtower that looms over the residents, Anais realizes her fate: She is an anonymous part of an experiment, and she always was. Now it seems that the experiment is closing in." 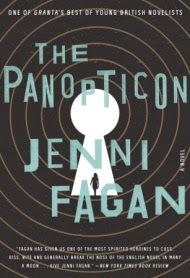 The Panopticon, by Jenni Fagan is a confusing, hard to follow read. Right off the bat, the American reader is at a disadvantage because of all the English slang used in the book. "Nae," "cannae," "tae," "doesnae," etc. are just some of the words that can trip up the American reader. First, though, I should mention that the word, "Panopticon" can be defined as, "a circular prison with cells arranged around a central well, from which prisoners could at all times be observed." That should be understood before one starts to read the book. After trudging through at least a quarter of the book, the main character, Anais, has still not move past her first night at Panopticon. Every paragraph seems jilted and out of sorts with the ones following and preceding. It's almost as if a million little thoughts were put together in one book and none of them are in order. Soo, soo, soo confusing for the reader to follow! Characters are introduced at random and character development is lacking. While the reader feels bad for all of the unspeakable and alluded-to horrors that have happened in Anais' young life, it is hard to feel sorry for her when much is left unexplained and the reader is left wondering and confused. This is author Jenni Fagan's first novel. 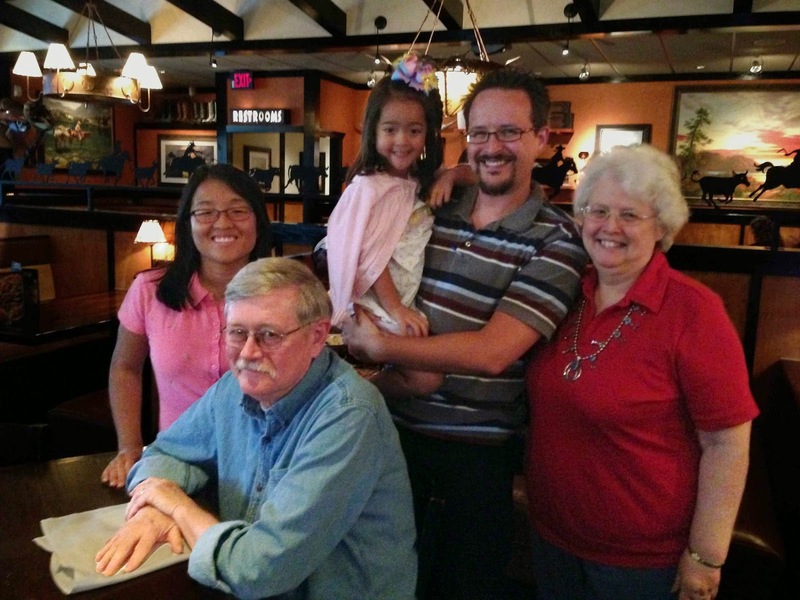 We were at BJs, today, and getting ready to check out. While I was scanning the lanes to see which one was shortest, Katy asked, "Mom, can we use the selfie line?" Hahahahaha! That one made me chuckle! 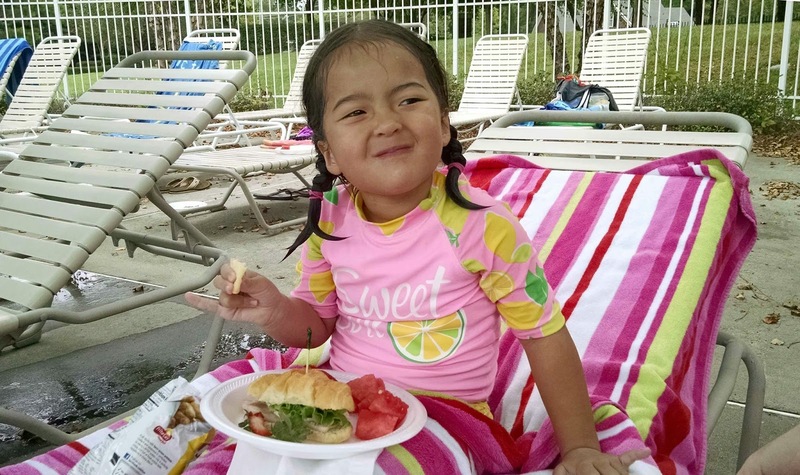 Yesterday was the first day of Katy's new swim class. She was pulling on her one-piece bathing suit and it was getting all twisted and tangled. Exasperated, Katy exclaimed, "This bathing suit is too taut! That means it's too tight!" Last night, we had put Katy to bed and then went about our own evening routine. Ted and I were in our room, catching each other up on our days. I was telling Ted things Katy had said and done throughout the day. Nothing of note- just typical family stuff. Me, "Yes, Katy- what do you need?" Katy, "I heard you and Daddy talking. What were you talking about?" Me, "Just stuff. 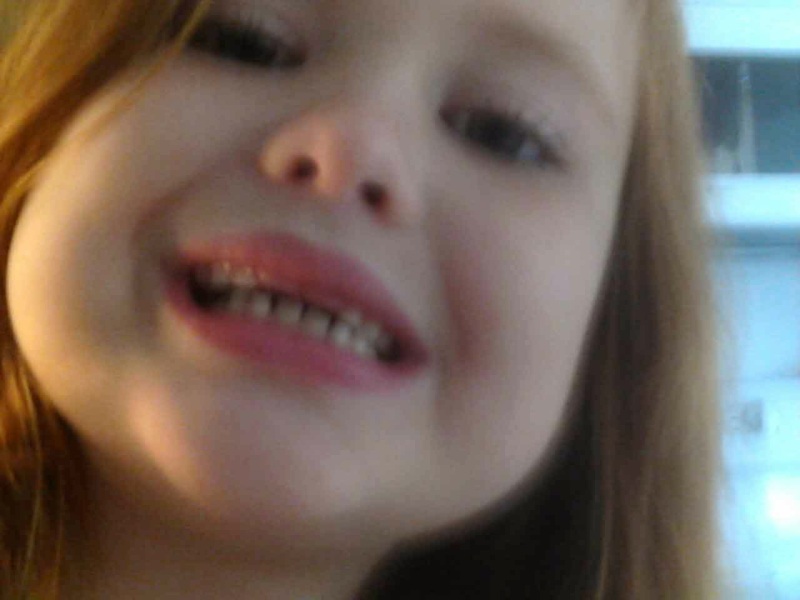 I was talking to Daddy about you- telling him about our day." Katy, "Mommy! It's inconsiderate to talk about me (behind my back)...!" 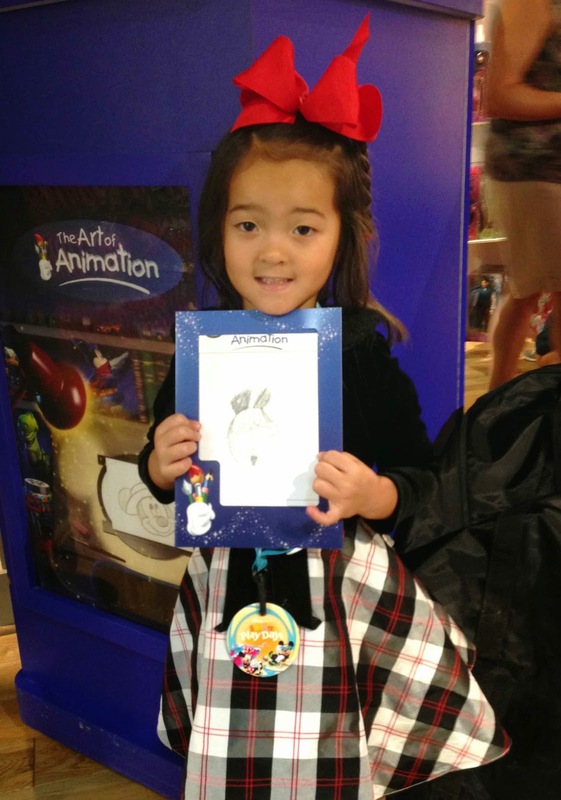 Have you heard of the Disney Store's Summer Play Days? It's a fun, free activity hosted by your local Disney Store, during the summer months. 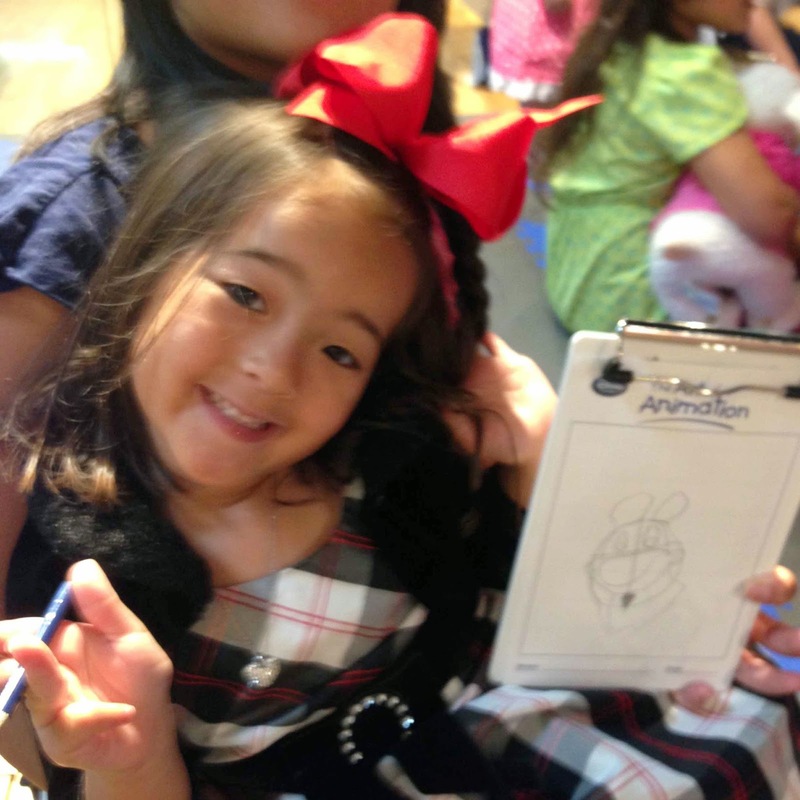 Storytime, Art of Animation, Showtime, Trivia and more! Quite by accident, we happened upon our first introductory Summer Play Day- the Art of Animation- one Sunday afternoon. The day's task- draw Mickey Mouse! 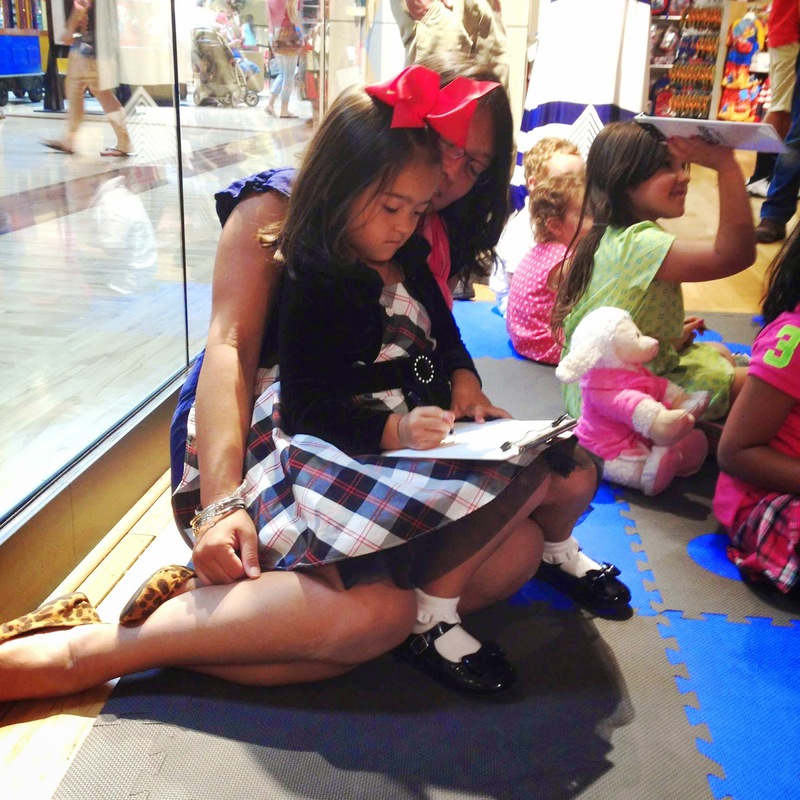 Since then, we've returned several times to our local Disney Store- mostly for Storytime. Katy loves the interactive, Disney-based stories, best. 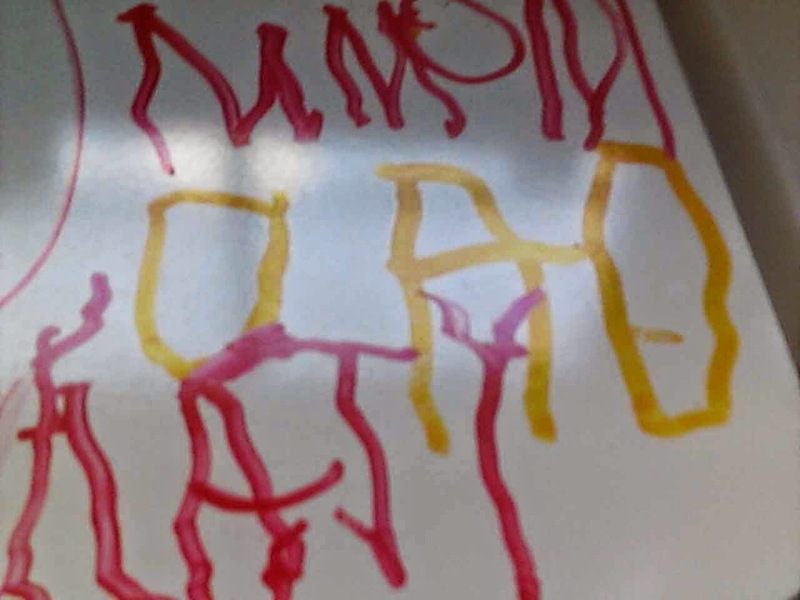 What a neat, fun, free summer activity for the Preschool set! 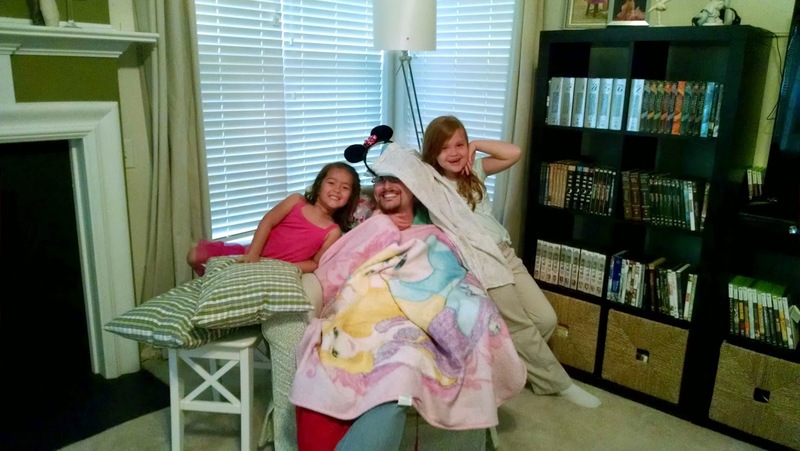 (Not pictured- the singing, whirling karaoke that ensued as soon as "Let It Go" came on. Our friends' daughter, Cecilia slept over, this past Friday. Katy was SOOOOooo excited to have a "slumber party!" 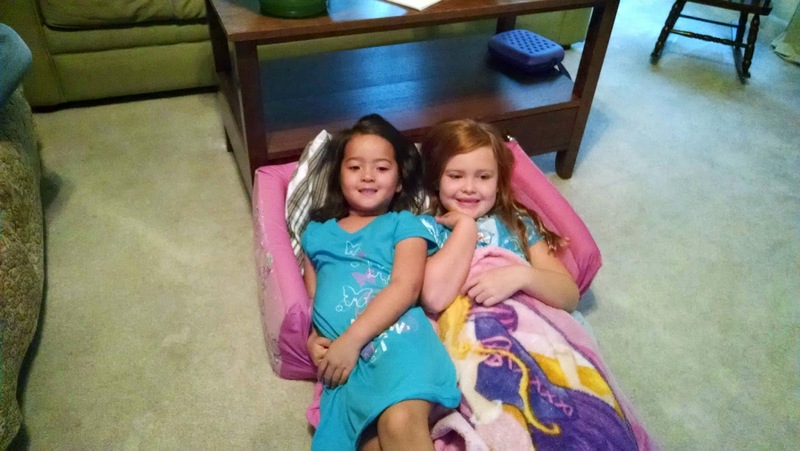 She had very definite ideas of what a slumber party entails. -Order Pizza (The one the "Yellow Sauce." Papa John's, in case you couldn't figure that one out- took us awhile, too!). -Stay up late doing shadow puppets with the flashlight. -Eat Pancakes in the morning. Welp. It was bound to happen. Every kid does it. My sister famously did it weeks before my uncle's wedding, when we were younger. Katy gave herself a haircut. Or, as she refers to it, a "short cut." I was sewing and Katy was playing right next to me. I had given her some scissors and paper to cut out and she was using some of my fabric scraps to "sew." 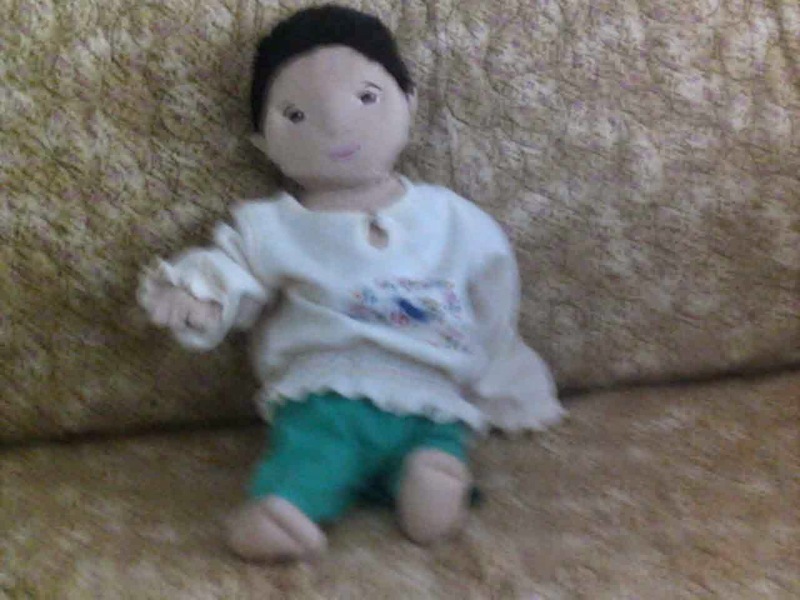 I was busy at the sewing machine and I didn't actually see her cut her hair. 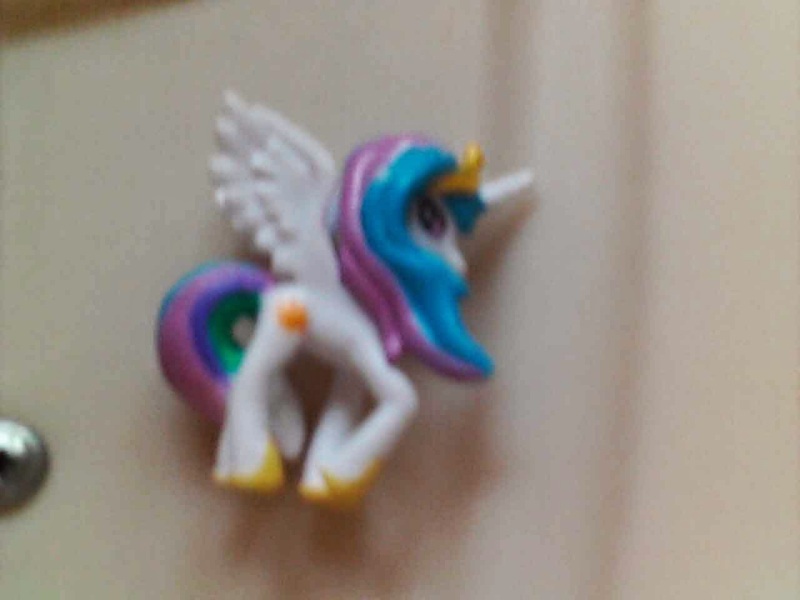 Then, later, I was exercising and I noticed a lone lock of hair sitting in the middle of our near-empty dining room floor (on top of the cream colored carpet. Dark hair, light carpet. It was pretty obvious.) Now, at first I was confused because Katy and I have almost the same color hair. Quickly, it dawned on me what had happened- Katy had giving her hair a snip. With the incriminating evidence in my hand, I asked Katy what she had done. Sheepishly, she honestly told me that she had cut her hair. I asked her to show me from where on her head did she cut. She pointed. I looked. The snippet was maybe an inch to two inches long. The damage really was quite minimal. We had overnight guests, that night, and I didn't get a chance to tell Ted about the haircutting incident until later. The next morning, after our guests had left, Ted sat Katy down to talk to her cutting her hair. He started out by saying, "Mommy tells me that you cut your hair...."
Katy interrupted, "Well, I didn't cut it TODAY...."
Last May 2013, we enrolled Katy in swim lessons at Open Water Adventures. She had a rough start that involved lots unpleasant moments for both she and I. 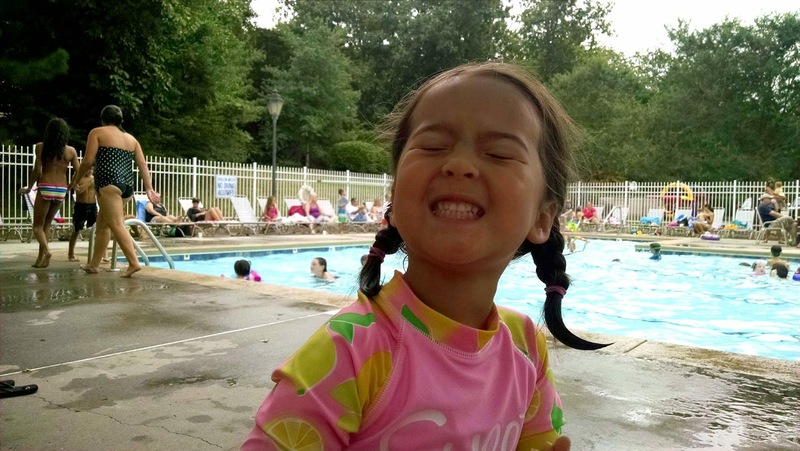 However, she ended last summer really well- diving for dive sticks in the shallow end of our pool, doing and simple doggie paddle and able to swim enough to jump off the edge of the pool and swim back, unassisted. Fast forward to the beginning of this summer 2014. Katy had regressed a bit over the winter (no access to pool during the cold, winter months). So, I signed her back up for more lessons. Because I wanted her to have the same teacher as last year, Ms. Rachel, we had to wait until the end of June for an opening. Now, one month later, her teacher said that Katy can move up into the more advanced class! Talk about progress! Typically, the more advanced class that she is moving up to is for the five and older set. However, Ms. Rachel feels like Katy is more than capable of progressing. Yay! We'll finish out the summer in the new class. This may not seem like a big deal to the outside observer, but having seen the beginning (kicking, thrashing) to where we are today (requesting to dive into the 15 ft. water, using her "windmill" arms and swimming so fast that her teacher has to actually SWIM- opposed to just walking alongside her- to catch up), this is a HUGE improvement!! So proud of our Lil' Miss! Katy and I were talking about IDs the other day and I was explaining what an ID was. 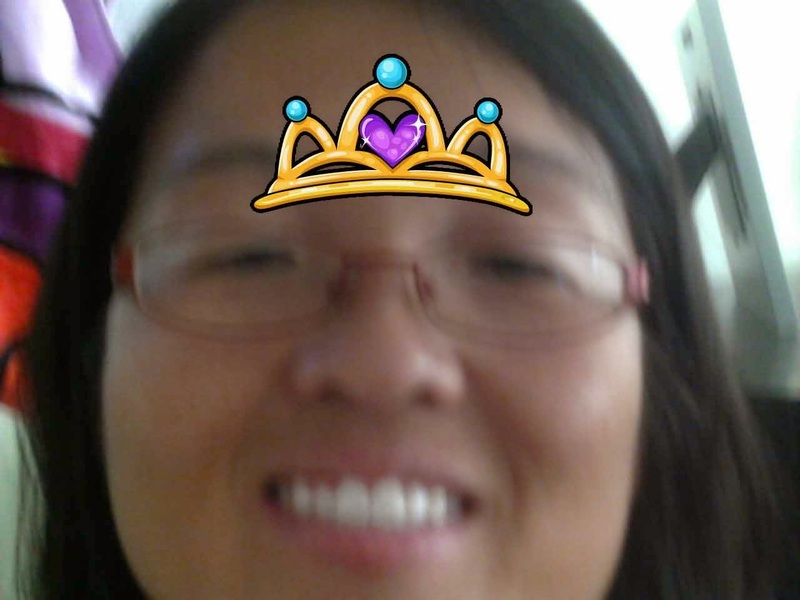 I told her that you get a picture taken and then it's put on the ID to show that you are, in fact, you. I asked her if she understood what I had just said. She replied, "So, you get a representation of yourself put on a card. Right?"